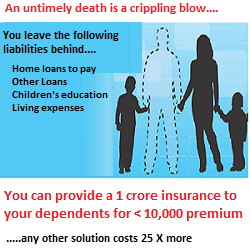 The first-year premium of life insurers increased by 10.73 per cent to Rs. 2,14,673 crore in FY19 from Rs. 1,93,866 crore in FY18. The 34 non-life insurers had a gross premium of Rs 1.51 lakh crore in 2017-18. The GIC management will participate in the 12th Astana Economic Forum and is ready to continue negotiations on cooperation with AIFC. The ongoing talks between Axis Bank and Max Life comes nearly two years after regulators spiked the latter’s merger deal with HDFC Life. RGI’s net worth was Rs 1,405 crore at the end of FY18, up 12% from the previous year, during which the profit rose 27% to Rs 165 crore. Travel - there is little that hasn't been said on this subject. And if there is one thing that everyone will agree about travelling, it is the unpredictability that comes with it. I was diagnosed with urinary bladder cancer in 2010 and the tumour was removed. Now I get a check-up done every six months and am doing fine. You now have a convenient and hassle-free way to buy last-minute travel insurance at airports. Clear communication play a vital role in servicing of insurance policies and in ensuring that the benefits of insurance policies flow to the beneficiaries in a timely manner.